Open VFS list. If a ftp session times out, you can use this to free the open vfs so you can log in again. Copies selected file. Default is to another panel, but it asks first. Moving file. Default is to another panel, but it asks first. Opens main menu at the top of the screen. Ends current action; editor, viewer, dialog window or ends mc program. 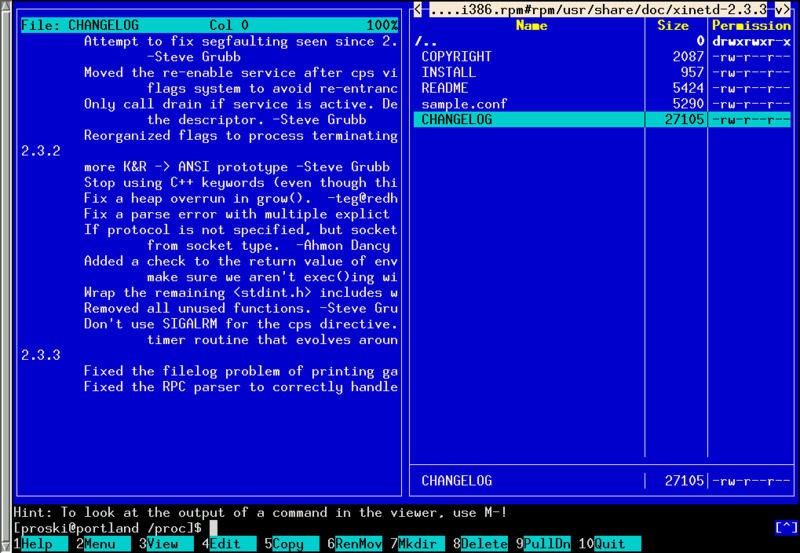 Midnight Commander (also known as GNU Midnight Commander) is a console file manager application with text user interface. It was started as a clone of then-popular Norton Commander. select (tag) a group of files. What is your favorite Midnight Commander hotkey? Do you have any useful tips for program? Let other users know below.